SAP Data Hub provides an integration layer for data-driven processes across enterprise services to process and orchestrate data in the overall landscape. It offers an open, big-data centric architecture with OpenSource integration, cloud deployments, and third-party interfaces. It also leverages massive distributed processing and serverless computing capabilities. 1) Create a new resource AKS. 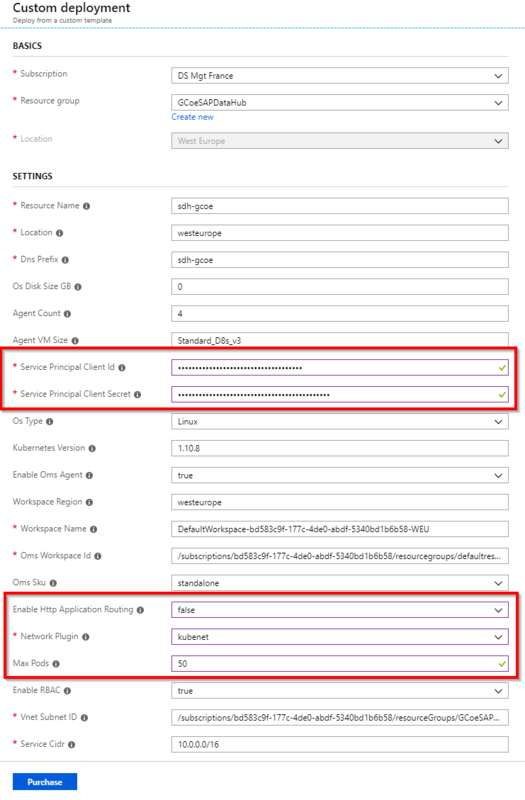 2) Fill all the needed information like the cluster name, the Kubernetes version etc etc. Pick 4 standard D8s v3 nodes with 8CPU & 32GB memory. This sizing is the minimum requirements for the Data Hub installation (please confer the Data Hub installation guide). Enable RBAC and provide an existing Service Principal Name (SPN). 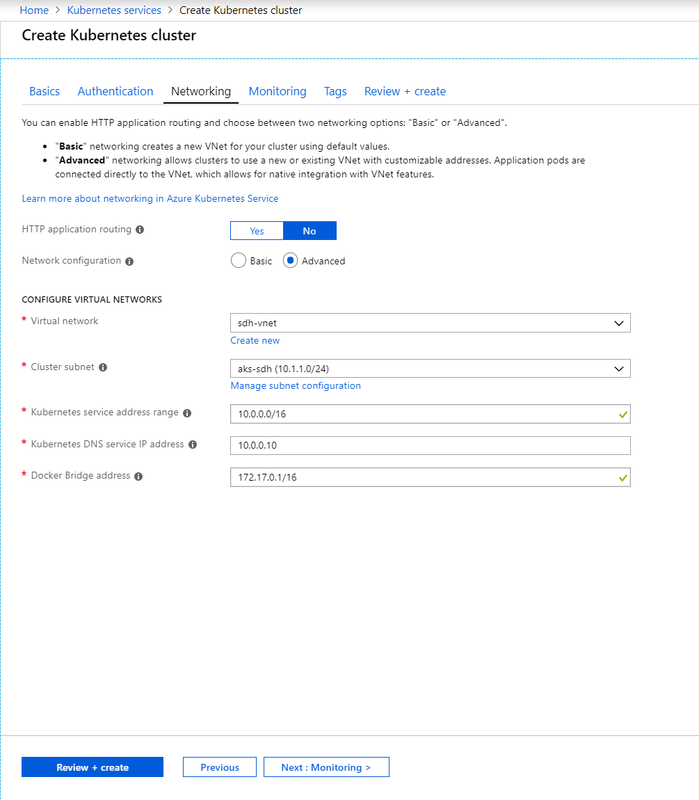 Be sure that the HTTP application routing is disabled and select the Virtual Network (VNET) and the Subnet (supposing that the VNET and the subnet have been created before). Leave the monitoring to ON. Once, all is validated, click on Download a template for automation. After re-enter the necessary inputs like Resource Name etc etc, you will need your SPN Client ID and Client Secret. Disable the Http-application routing, change the network plugin to kubenet and increase the number of max pod per node to at least 50. Finally, the last step is to Purchase. 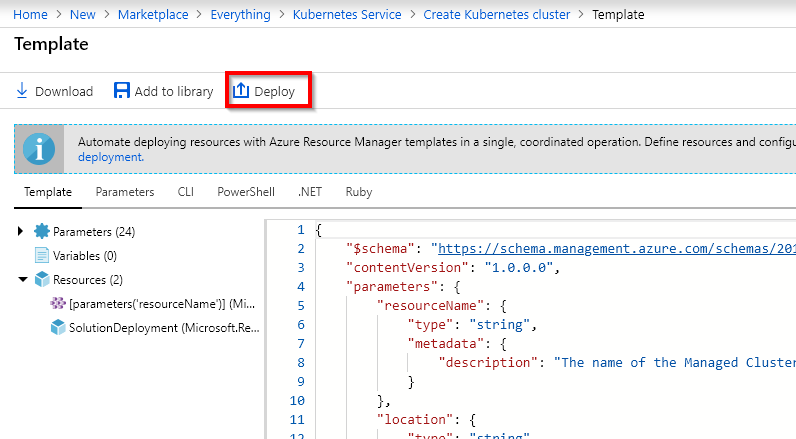 During the AKS deployment, Azure creates a new separate resource group (under the name MC_<name of the initial resource group>_<name of the AKS cluster>_<location>) with all the resources needed for the Kubernetes cluster. In this step, we will need to associate the subnet in the routing table. 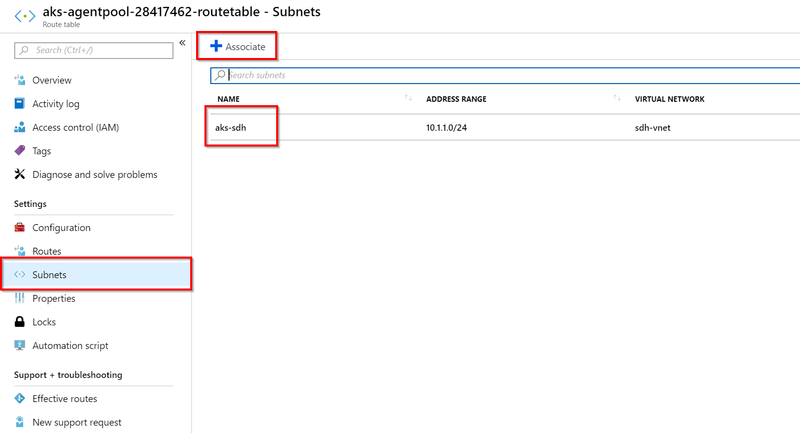 Select the subnet that you’ve entered during the AKS deployment. 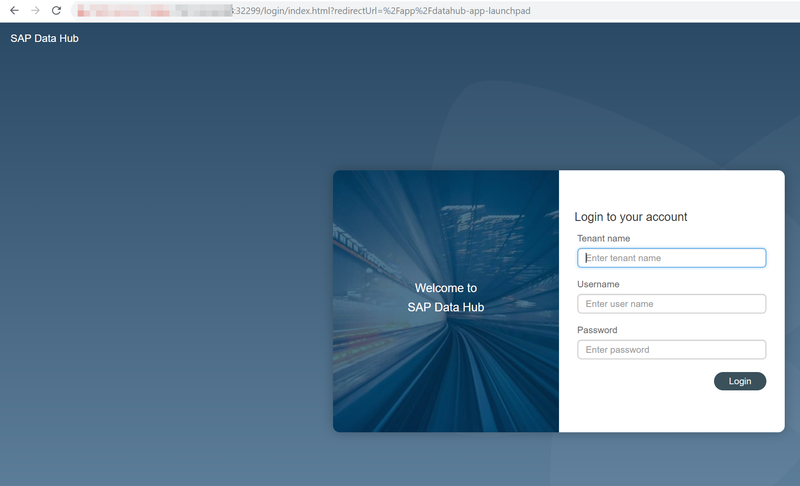 The SAP Data Hub installation require a docker registry. 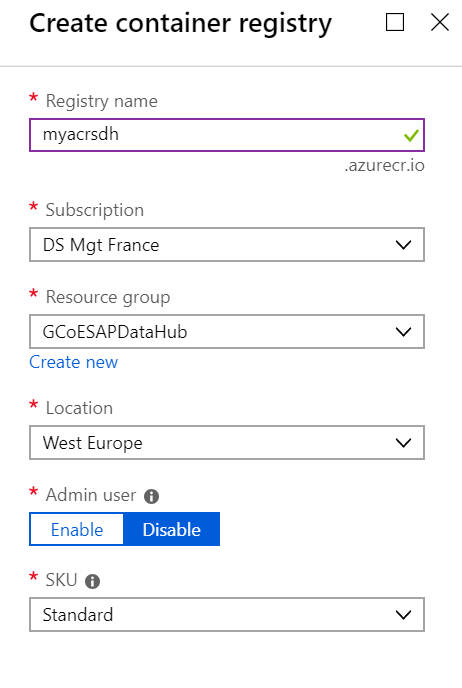 Azure provides a service for this named Azure Container Registry (ACR). Be sure that the admin user is disabled. In order to enable SAP Vora Database streaming tables, checkpoint store needs to be enabled. The store is an object storage, you can either choose ADLS or WASB storage. You will need to provide a SSH key during the deployment in order to be able to long in using a SSH client tool like Putty. Be sure to deploy the jump host in the same subnet, as the AKS, so the AKS nodes will be directly reachable. Once the jumps host is setup, follow the below instructions. 1) Install the AZ command line interface (AZ CLI). The SAP Data Hub used in this article is 2.3.174. Once you downloaded from SAP Marketplace, upload it into the jump host previously created and setup. Unzip the file (must be SAPDataHub-2.3.174-Foundation.zip). 2018-11-09T18:37:21+0000 [INFO] Running validation for vora-cluster...OK! 2018-11-09T18:37:53+0000 [INFO] Running validation for vora-sparkonk8s...OK! 2018-11-09T18:38:51+0000 [INFO] Running validation for vora-vsystem...OK! 2018-11-09T18:38:57+0000 [INFO] Running validation for datahub-app-base-db...OK! # You can find the generated X.509 keys/certificates under /mnt/resource/SAPDataHub-2.3.174-Foundation/logs/20181109_183430 for later use! # User for tx-coordinator: "default\YourUser"
Please note that the ports above are for my installation and SAP Data Hub will assign random ports. 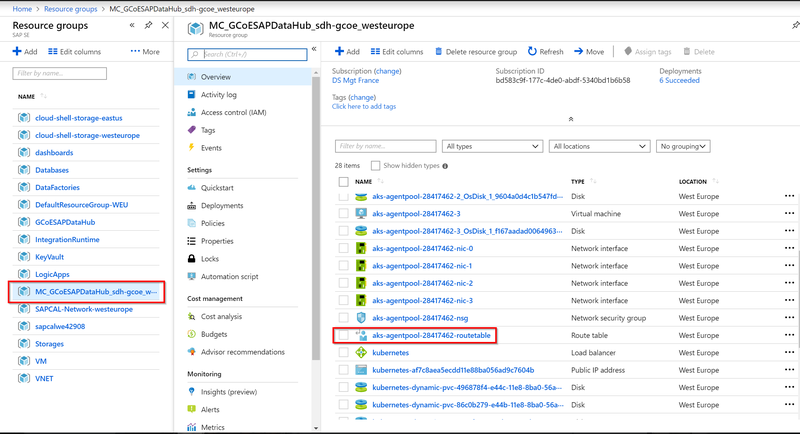 The easiest way to access the SAP Data Hub is to assign an IP from the Azure Portal to one of the AKS node. The node that you assigned the IP and the one specified during the installation should be the same. 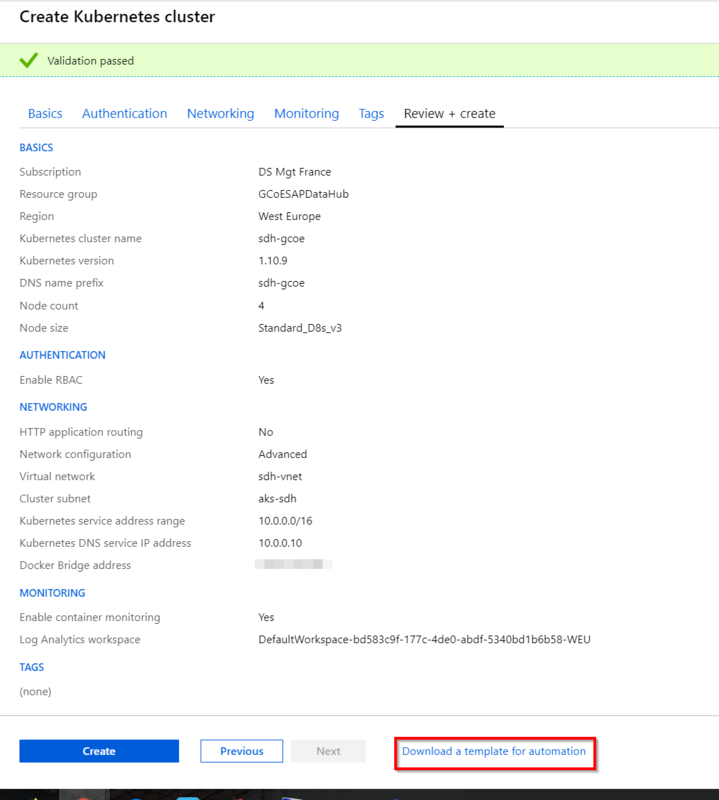 Once is done, you should be able to connect to your instance with the following yourFQDNFor SDHAcces:Ports. In my case, as seen aboce, my port is 32299. 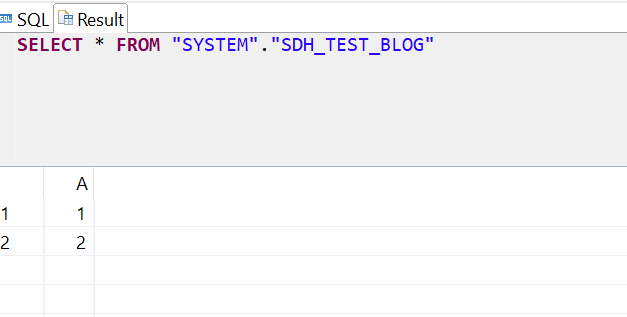 There’s a hana-wire functionality on the SAP Data Hub side, this functionality allows you to expose Vora tables via a SDA connection from a HANA database. To expose the service in the network where the Kubernetes cluster runs, create a Kubernetes service of type LoadBalancer. The hana-wire port is usually 3<instance number>15, so for the default SDH installation it’s 30115. In the HANA Studio, under Provisioning → Remote Sources create a new remote source with the VORA (ODBC) adapter. Fill the usual SDA informations. The virtual tables can be created via SQL command line or via the following, go on Provisioning→ Remote Sources → <source> <user>, right-click the table, and choose Add as Virtual Table. You can now access the SAP Data Hub Vora tables from your HANA studio. Thanks for reading, hope it was useful. Abdelmajid, great documentation. 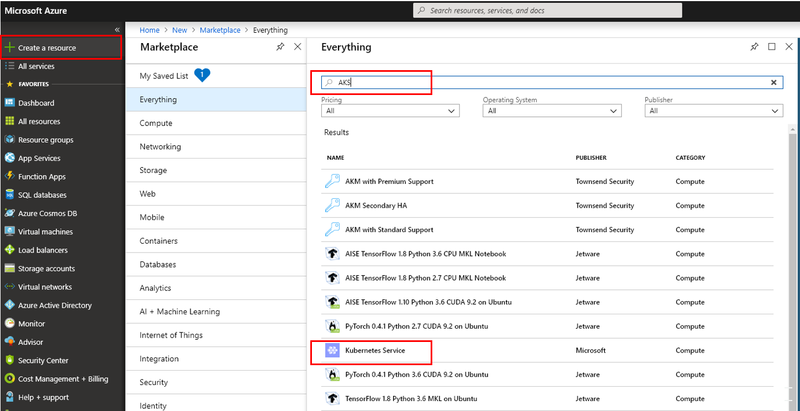 It helped me a lot with Azure DH setup without having to dig deep into install guide. It was almost error free except few hiccups captured below. ADSL is not a storage option any more for vora checkpoint store. Only WASB is available. However, on Azure Dashboard, there is nothing called “WASB” so I ended up just creating a storage account with a container under BLOB service assuming that is “WASB” based on the Azure WASB documentation. I could find all relevant details such as storage account name, endpoint, key etc. Also able to access container from my jump box via Azure CLI. However, DH installation fails when validating vora checkpoint store. For now, I planned to skip validation just to see what happens next and open a BCP message. Another issue I faced is that during the Pull/Push process which takes some time, installation failed with Login error more then. Everytime install aborted with login error, I ran the Container registry login command (az acr login -n <reg name>) and restarted install.sh. Installation moved on to the next set of push/pull files. 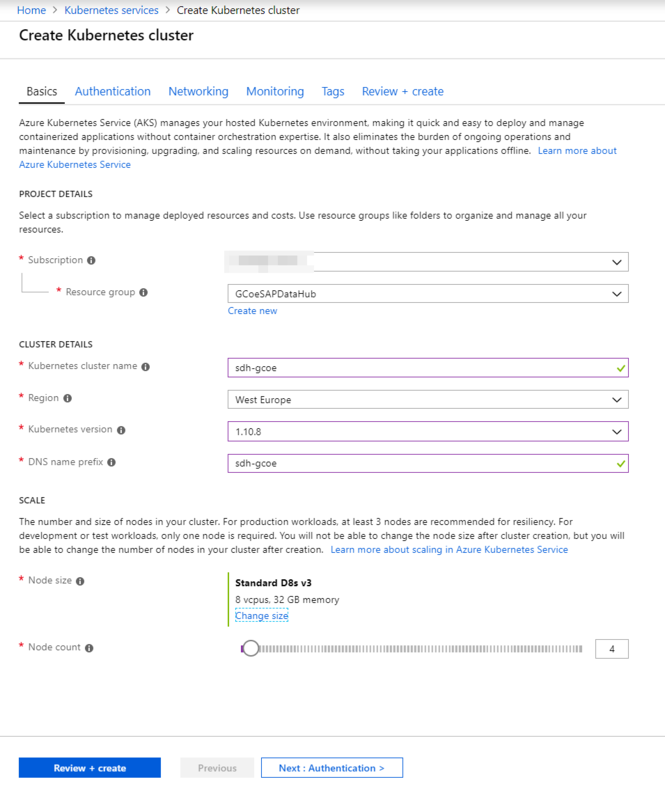 I looked for some kind of timeout setting on Azure but could not find it. WASB is the technical name of the Storage Account (BLOB storage). You should not have issues with the storage folder as its mentioned in the blog post. I also faced a time out during docker image fetch, I have’t investigate further. If I found something relevant, will share it with you. Something that you can try is to enable the Admin user in the ACR. You will be provided a password and you will be asked it once you will connect to the ACR using the az acr login command.